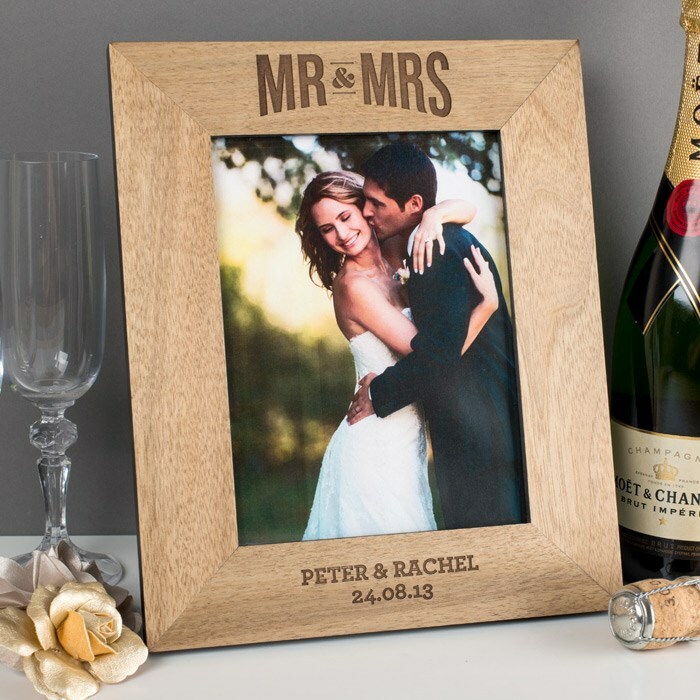 Perfect for weddings, anniversaries or as a romantic gesture for any occasion, the beautiful Personalised Mr & Mrs Wooden Photo Frame will make a thoughtful and long lasting gift for a happy couple. This smart wooden portrait frame features the words “Mr & Mrs”, neatly engraved along the top of the frame above the photograph, in a stylish typeface. Also features a backing board with hanging hooks, and a fold-out stand so it can be displayed free-standing.